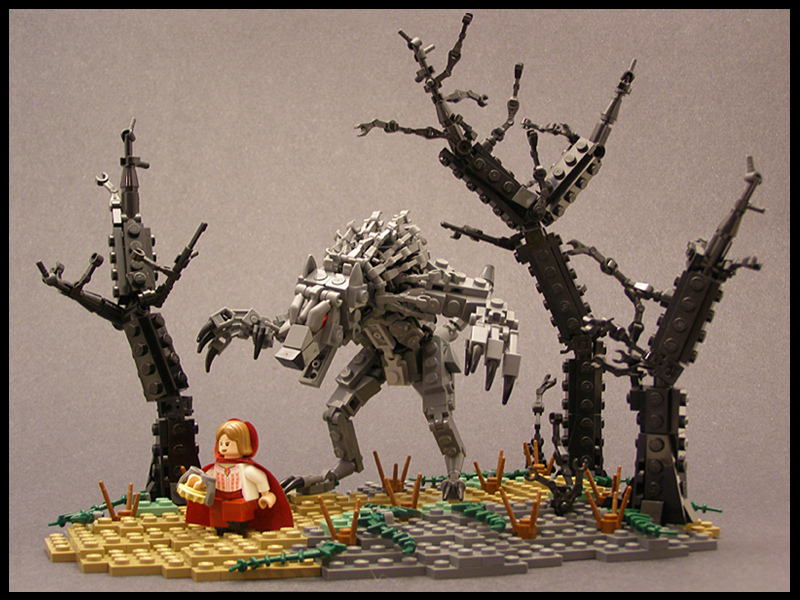 Werewolf News reader Crimson Beast sent me a link to this mind-blowing Lego creation by Tyler Clites, aka Legohaulic. Click the photo below for a slightly larger version, or visit the photo set on Flickr for two alternate views. Check out that monster! Check out those insane trees! Legohaulic built this stunner in December 2010 as an entry in the Fairy Tale category of The Classic Castle’s CCCVIII contest, presumably from stock Lego parts. He doesn’t seem to have a web site or definitive profile anywhere, but Legohaulic’s Flickr gallery and Brickshelf gallery both show much more of his work (I love the Back to the Future DeLorean). Also on Flickr is a look at the werewolf on its own. If instructions were available I’d be hitting up Pick a Brick right now. Nice work, Tyler!